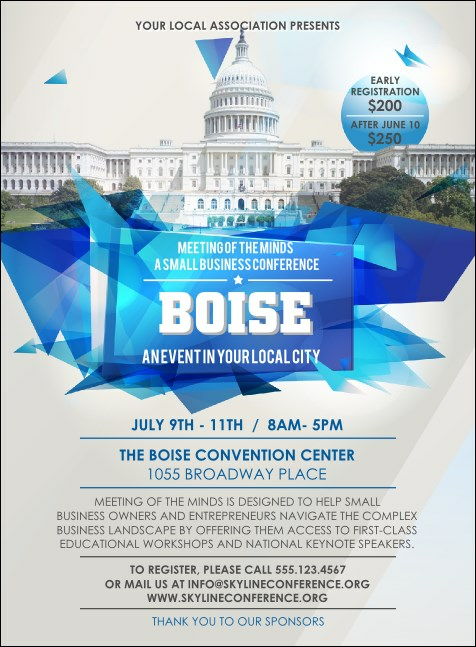 Climb your way to the top of a mountain of great advertising in the Pacific Northwest when you print Boise Invitations and send them out to your City of Trees guest list in advance. Let your promotions flow like the Boise River with Invitations that feature a beautiful picture of Boise’s Capitol building on a white background. No need to go out on a limb for great advertising at TicketPrinting.com!